From favors to decorations to royalty accessories, you will want nothing but the best for your school’s events, like Prom, Homecoming, Winter Formal, and Senior Party. Prom Nite has all of the items you need for these important school events, including many that have received five-star reviews from other customers. We’ve gathered together a sampling of those reviews so you can see what our best-sellers are, get excited for your upcoming events, and get our helping to find exactly what you need for your school’s next event. Durable glass favors are favorites with our customers. Unique Prom or Homecoming glassware favors like these can be used again and again once your school event is over; students will love these as keepsakes! The quaint, vintage quality of the Small Mason Jar is a fun coordinating favor for a retro 1920s Homecoming theme or even a western theme. And the Blue Glass Coffee Mug is a great match for your under the sea theme or a nighttime Prom theme. Customers love decorations that provide an extra bit of pizzazz for their events. Our Fringe and Decorating Fabrics are just two wonderful ways to do that. Metallic Colored Fringe is a traditional product that can be used in multiple ways from parade floats to school dance decorations for that described “wow” factor. 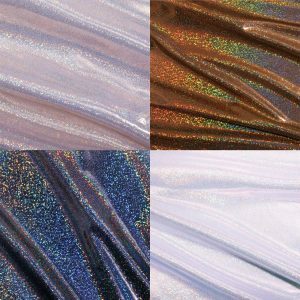 And our shiny and elegant Liquid Metal Fabric comes in six versatile colors to match almost any theme for Prom or Homecoming. We pride ourselves on our customer service, and it is definitely getting noticed. When you are ready to shop for royalty items, you will you receive a top-notch response from us. The Satin Crown, Armande Tiara, and Sash Prom Set has the most essential royalty accessories for your Prom King and Queen, and will save you both time and money when you’re ready to order. Our Gold Kiley Tiara provides just enough shine and elegance to make your Prom Queen stand out. One of Prom Nite’s top priorities is giving our customers trendy items that they want. We are always looking at the latest trends and update all of our products, including invitations and tickets, accordingly. The Sizzle and Shine Tickets are a custom ticket option that will dazzle everyone during Prom, Homecoming, or your Senior Party. And, with “enchanted forest” themes being very popular right now, our Fairy Tale Forest Invitation is the perfect complement for your matching Prom or Homecoming theme.